It is no secret that large parts of the developed world have populations which are becoming overweight or obese. The UK is no exception, with around 60% of the population carrying more weight than recommended. Within these figures approximately 23% of women in the UK are obese – topping the European league table of fattest nations. Men in the UK are not much better with around 22% of them being obese, only just behind Malta which tops this table. It is currently forecast that half of the UK population will be obese in 25 years if current trends continue. Most people are looking for a weight loss plan that will allow them to lose weight as quickly as possible. Usually a dramatic and rapid weight loss is not in the best interest of overweight patients as it leads to a unsustainable weight loss, with all the pounds piling back on almost as quickly as they came off. 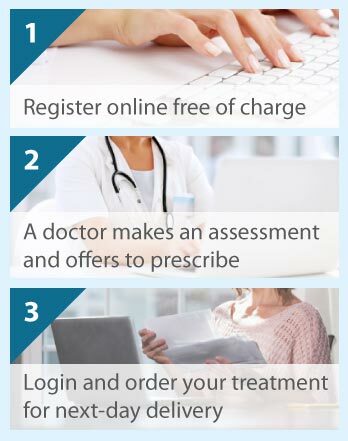 The Online Clinic offers a free weight loss consultation with a registered doctor and we may be prepared to prescribe weight loss tablets that can increase your chances of losing weight. There are a number of ways in which obesity is measured but the most commonly used system is that of the Body Mass Index (BMI). This is a calculation based on a combination of height and weight. A BMI of over 25 but under that of 30 is considered overweight and a measurement of 30 or over is considered obese. Morbid obesity is generally defined as a BMI of 40 or over. The healthy range is 18.5 to 25, with anything under 18.5 being considered unhealthy. Here is a link to our own BMI calculator so you can see where you are on the scale. Please be sure to enter your exact height and weight. Another way of determining if you are overweight is by using the waist/hip ratio. This method was devised by a university research team in the United States and you basically take your waist measurement and divide it by your hip measurement. A ratio of 1.0 is deemed healthy in men and 0.85 in women. It has further been determined that a man who has a waist circumference of 37 inches or more has health risk factors and for a woman the same figure is 32 inches. Despite the vagaries of the BMI system which will classify some rugby players as obese because of the crude nature of the calculation, it is still the most popular method of measurement. Certain medicines such as antidepressants, oral contraceptives and corticosteroids can lead to a weight gain. Also, obesity can be hereditary but this cannot be used as an excuse to explain away every individual case of obesity. While it is possible that a person is obese because of genetic factors or medical conditions, the fact is that obesity rates have trebled since 1980, so it is much more likely that lifestyle factors are to blame for the current obesity epidemic. Sometimes it is the case that a person has a low metabolic rate and this will cause the person to be overweight but this is not as common as people tend to think. It is also possible to alter our metabolic rate by changing our food portions and the frequency of meals. An increase in our exercise regime will also help to burn those calories which we are consuming throughout the day. We see a number of patients who have an under-active thyroid or polycystic ovary syndrome and these conditions definitely contribute to weight gain but the plain fact of the matter is that most people are overweight because they eat irregularly, overeat when they do have a meal and take little or no exercise. It is not so long ago that we were being told that life in the 21st century would present us with an abundance of leisure time but life has not quite worked out that way for most people. People drive to work rather than walk, eat junk food while on the go and slump in front of the television with an unhealthy ready meal at the end of a hard day’s work. This type of lifestyle is the major cause of obesity. Most people who are overweight want to lose weight so that they can look better and this is a perfectly good reason to make an effort to get your body shape under control. However, there are medical reasons why it is desirable to get your weight under control. Heart disease, stroke, type II diabetes, high blood pressure and some types of cancer have an association with being overweight. Clearly, nobody wants to suffer ill health as they progress through life so it is in our best interests to keep the weight off by following a healthy eating and exercise programme. If you are already overweight then a quick and fast weight loss program is probably not advisable. Consulting with a doctor is recommended before commencing a new fitness regime. The best way to lose weight is to do so naturally, without resorting to slimming pills but where an effort in this direction has not produced sufficient results, doctors may be prepared to prescribe a medication and we will discuss this later on our weight loss treatments page. It is unlikely that these medications will be prescribed on the NHS because of the cost but some doctors are prepared to prescribe Xenical on the NHS dependent on the patient achieving certain targets. As a private clinic, we are prepared to offer the full range of safe weight loss medications so long as they are appropriate to the individual patient. Some people find this difficult to accept but in most cases, the reason that they are overweight is that they eat more calories than they are consuming through exercise. The first place to start therefore is to have a good hard look at what you eat and drink. You must be in the right frame of mind to lose weight; unless you are motivated and minded to lose weight, it will not happen! Make sure that you are eating lots of small meals throughout the day. This will ensure that you keep your metabolic rate up, burning those calories. Choose small healthy meals every 3 to 4 hours but avoid traditional snacks like crisps, certain nuts such as peanuts and biscuits – these are not meals! Make sure that you do not skip breakfast – this is the mistake that a lot of people make. Start the day with something like porridge and berries made with water or skimmed milk. Porridge is low on the glycaemic index so it releases energy slowly over a sustained period. You must eat at least five portions of a variety of fruit and vegetables every day but try not to eat fruit in the evening as the fructose will be stored as fat if not expended immediately. It is recommended that we do not eat more than two portions of red meat every week as this can lead to higher cholesterol levels and an increased risk of certain types of cancer and cardiovascular disease. Choose low fat meats like chicken. If you do have red meat, choose a lean cut. It is also recommended that we eat at least two portions of oily fish per week, such as mackerel, herring and salmon. Tuna is also a good fish but it is better to opt for fresh tuna rather than the one that comes out of a tin. Avoid processed meats altogether if you can help it. Avoid fatty foods such as cheeses. Although cheese has a lot of useful nutrients, the high fat content is not going to assist you in losing weight. If you are going to use a spread, we recommend using an olive oil based spread with few added ingredients. Be careful what you drink. A lot of our patients have planned their daily weight loss diets with care but then end up drinking sugary drinks such as cola or lemonade. Avoid these totally! If you can stick to water, this is the best option. You should also limit your alcohol consumption as it is generally full of dead calories. A glass of wine with dinner has certain health benefits but a pub crawl with your friends might be fun but it will end up around your middle – not a good look and a risk factor for a number of diseases such as diabetes and cardiovascular disease. You must increase your level of physical activity. It is recommended that we have between 60 and 90 minutes of moderate physical activity on five days every week. This could be anything from a brisk walk to running or playing a game of badminton. We recommend getting out for a run every morning before breakfast when your glycogen levels are low so you will burn into fat straight away. This might not be practicable for a lot of people but it is an excellent method of getting the weight off. You can introduce exercise into your normal daily routine such as walking rather than taking the car and using the stairs rather than the lift. It does not take too much imagination! Many people are tempted to go for a quick and rapid weight loss plan but this is usually a mistake and is likely to backfire. It is better to lose between 1 and 2 pounds a week as this is most likely to lead to a sustainable weight loss. Also, do not be overly concerned with a stop in weight loss where the level of weight on the scales either levels off or increases slightly. Look for the trend over a few months rather than a few days. If you have increased your level of physical activity then you will probably be toning up muscle which can lead to a slight increase of weight on the scales as muscle tissue is denser than fat tissue so weighs more on the scales. Take body measurements such as around the waist as this may show a more impressive improvement than the scales given what we have said about the density of muscle fibre. A lot of people lose weight successfully and then fall back into their old eating habits. It is essential that you keep to your new healthy eating and exercise programme if you are to be successful in keeping your new body shape. Where an effort to lose weight by the natural method outlined above has not been successful or you have reached a sustained plateau, then it may be advisable to seek medical advice. We are happy to prescribe medications for patients who have a commitment to lose weight to get them to the recommended healthy level if medication is the right course of action for that patient. Each case is decided on its own merits, as weight loss tablets are not always the most appropriate option for a weight loss plan. There is a range of medications available to prescribe and we will consider each patient for all licensed medications in the UK. We will never prescribe phentermine or diethylpropion as we do not consider these drugs to be in the best interest of any patient. Surgery is a dramatic step and it would only be advisable or recommended in extreme cases. Please have a look at the weight loss pills to see what options are available. If you would like to proceed with a free consultation with one of our doctors then please click on the free consultation icon below. This is the only legal way of receiving weight loss medications in the UK and you should be wary of any website that offers to sell you prescription diet pills without a consultation with a registered doctor.